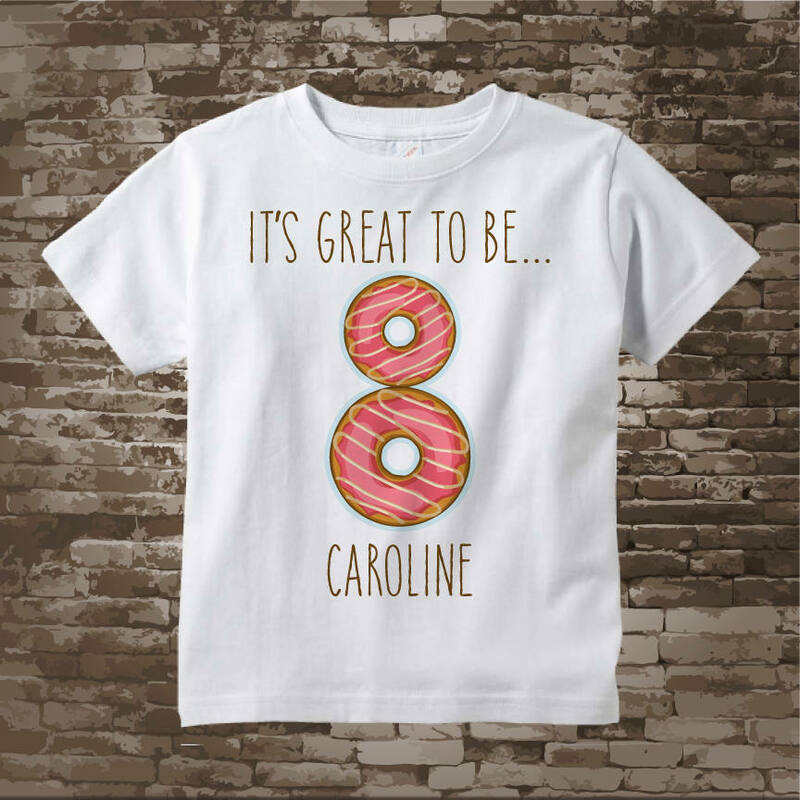 If your little girl is having a doughnut party for her eighth birthday then this cute donut design will be perfect for her birthday outfit. Two pink iced doughnuts make the number 8. 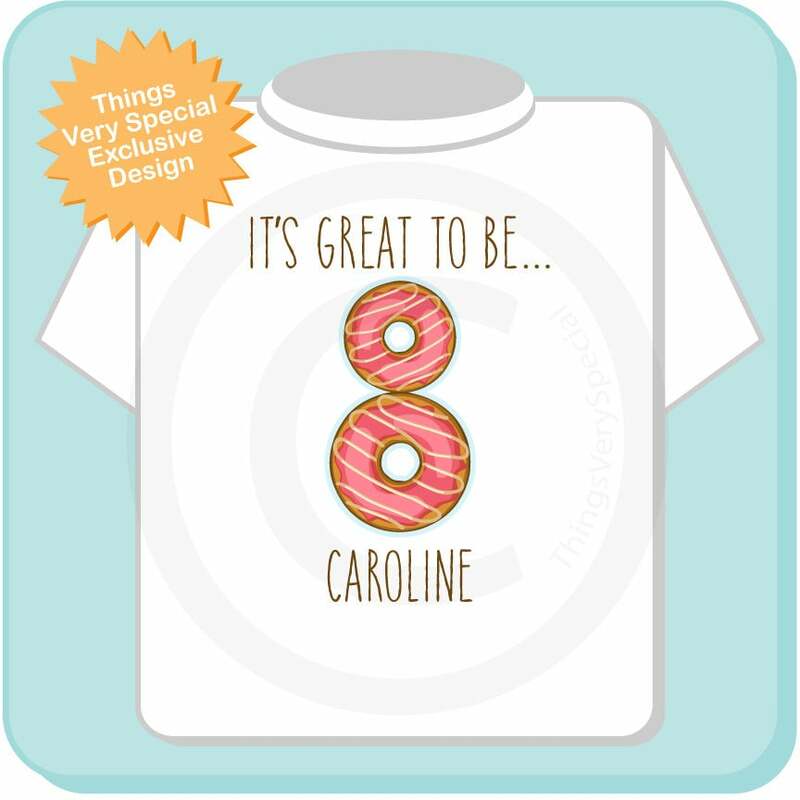 This design is only available as a number 8 since the two doughnuts make up that number. Fast shipping!! Exactly as described! My daughter loves it!! I bought this as a gift for my niece who loves anything donuts! The shirt is beautiful. Better than I expected! Can’t wait to ship it to her. She’s gonna love it! Thank you so much! !